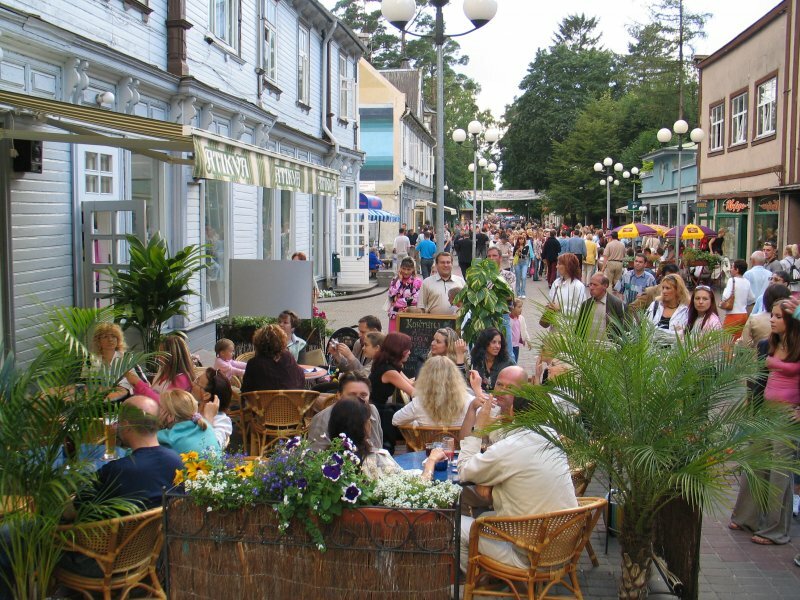 During the summer months, Jūrmala can actually get more crowded than Riga. It can make you wonder whether it becomes the temporary capital of Latvia. Jūrmala is the largest seaside resort of the Baltics, where tourists are indulged by its natural beauty consisting of a soft climate, cool sea, light sand, gentle sun and refreshing sea breezes. Jūrmala city actually consists of a string of smaller suburbs which hug the coastline. You can especially appreciate this as you travel there by train, visiting the old wooden railway stations along the way. From East to West, following the line from Riga, there’s Lielupe, Bulduri, Dzintari, Majori, Dubulti, Jaundubulti, Pumpuri, Melluži, Asari, Vaivari, Kauguri, Sloka, Jaunķemeri and Ķemeri. The entire city stretches for 32 kilometers along the gulf of Riga. Jūrmala was first populated in the 11th and 12th centuries. At that time, there was an ancient harbor on the river Lielupe. As medieval Riga grew to become a center of commerce in the Baltic region, Jūrmala stayed in the shade and during many centuries most residents of the present city territory were fishermen. At that time, the area was divided into small, separate villages. The first visitors to the area were rich landowners from Courland and prosperous inhabitants of Riga, who arrived around the 18th century. At that time there was no accommodation. The beaches were only accessible by stagecoach, and instead of hotels there were only small fishermen’s houses. After the Napoleonic war, high ranking officers of the Russian army started coming to Jūrmala as part of their rehabilitation after war. They liked the area so much that later they returned with their families. Field Marshal Barclay de Tolly was one of the first who built a summer residence on the coast. Other inhabitants started to build their summer residences. The building material of choice was wood because of its aesthetic appeal. It was also considered most appropriate for such seasonal buildings, not to mention it was the most plentiful material available. Most of the buildings were created by Baltic German and Latvian architects, but you can find houses of Russian, Finnish and other architects. Many wooden houses of that time remain as monuments of Art Noveau style, giving their special charm to Jūrmala. In 1920, city rights with the name Rīgas Jūrmala were granted to the current territory of Jūrmala, from Priedaine to Kauguri. The word Jūrmala simply means “sea coast” in Latvian. A year later, a project to reconstruct the area was approved. The main idea of the project was to transform Jūrmala into place especially designed for resort vacations, with an emphasis on enjoying swimming and improving one’s health. Jūrmala received its official status as a city in 1959, when the territories of Rīgas Jurmala, Sloka and Ķemeri were merged. The railway line became electrified and today it features the most regular train service in Latvia. Further active resort development started during the 1970’s and 80’s. 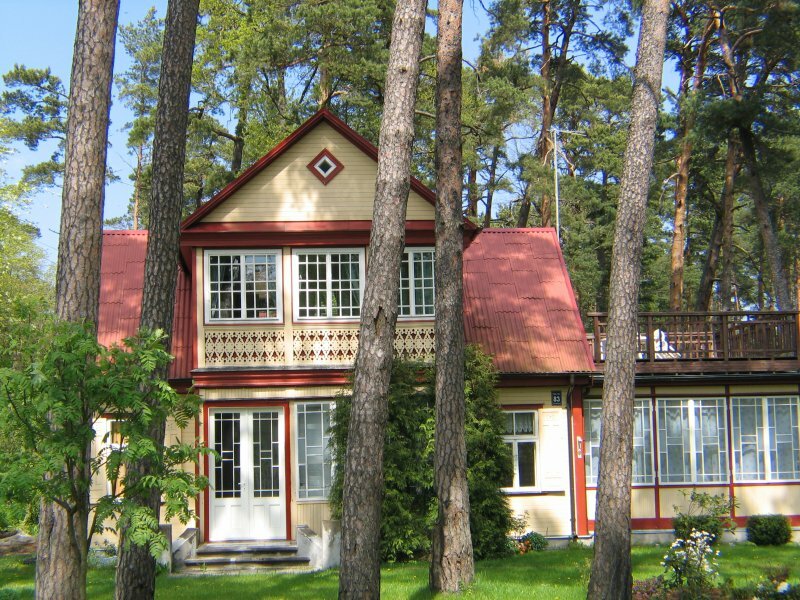 Jūrmala was considered the most popular and prestigious vacation spot for citizens of the former USSR. 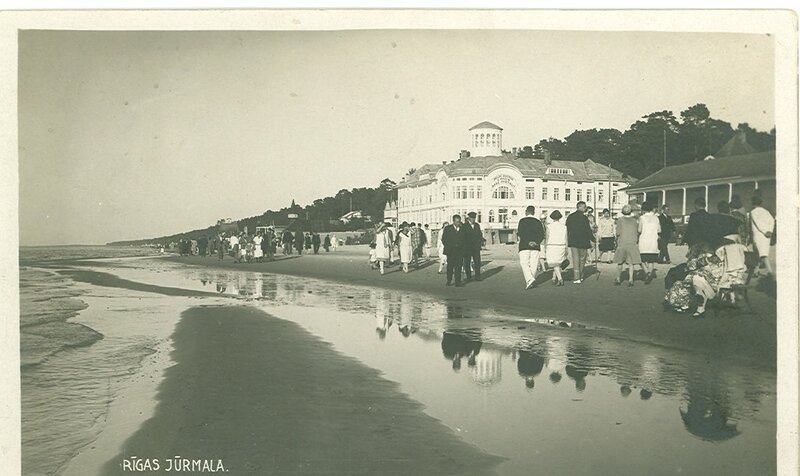 Unlike other famous seaside resorts in the union like the Crimea, Jūrmala was more fashionable because it was developed closer to Western standards. Today Jūrmala is being returned to its status as the “Pearl of the Baltic”. Most of the city’s business is related to tourism and recreation, which is being encouraged by the City Council with a Tourism Development Strategy 2007-2018. So far, many of the hotels have been brought up to Western standards. The Baltic Beach Hotel and Hotel Jurmala Spa are good examples, which also provide a huge range of spa and wellness procedures. The dining scene of the city has also improved a great deal. However, the biggest attraction for tourists is still the kilometers of beaches with golden sand, fringed by pine trees and dunes.